Imagine for a moment, if you will, that all of those ads for painkillers (such as Excedrin, Motrin, Tylenol, etc.) were replaced with pictures or commercials for leafy greens, herbs, or even essential oils. Everyone knows that vegetables are good for you, but not to what extent. Did you know that spinach, swiss chard, and kale contain magnesium and niacin which have been proven to treat and prevent migraines? I’m not saying that your headaches will magically disappear overnight, but by incorporating those foods (and others) into your diet, you’ll notice a change over time. Some of the biggest headache/migraine triggers are food related….cheese, wine, white flour, fried food, sugar, food additives, and much more. Over 100,000 people die every year from taking medications….and not just prescription medications, but over the counter drugs as well. Even if they don’t kill you, they can still cause serious problems, such as liver or kidney disease. So why do doctors continue to prescribe? And what did we do before medication? In the written record, the study of herbs dates back over 5,000 years to the Sumerians, who described well-established medicinal uses for such plants as laurel, caraway, and thyme. In Indian Ayurveda medicine has used many herbs such as turmeric possibly as early as 1900 B.C. 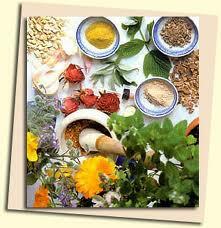 The ancient Greeks and Romans made medicinal use of plants. Greek and Roman medicinal practices, as preserved in the writings of Hippocrates and – especially – Galen, provided the pattern for later western medicine. Hippocrates advocated the use of a few simple herbal drugs – along with fresh air, rest, and proper diet. Some of the common side effects are: constipation, decreased sweating, diarrhea, dizziness, dry mouth, loss of appetite, weight loss, nausea, nervousness/anxiety, numbness or tingling of skin, sore throat, stomach pain or upset, trouble sleeping, taste changes. There are many more, those are just a few. The more severe side effects are: severe allergic reactions (rash, hives, itching, difficulty breathing); blood in the urine; blurred vision; bone pain; decreased coordination; double vision or vision changes; irregular heartbeat; loss of consciousness memory problems; suicidal thoughts or actions; trouble thinking, concentrating, or remembering things; trouble walking; new or worsening mental/mood changes; speech problems and many, many more! I experienced extreme loss of appetite, weight loss, numbness and tingling, fatigue, trouble concentrating, memory problems, decreased coordination, and new or worsening mental/mood changes. And I lived with that for three years! On top of that, the meds didn’t always work…I still experienced migraines more often than I should have. They had me on the highest dose that could be prescribed at one point and I started having panic attacks and trouble breathing. So when I found out a natural way to actually heal myself without side effects, I ditched the medication. According to experts, Ayurveda probably has “the oldest, most visionary, most developed science of herbal medicine in the world.” Ayurvedic physicians have described and classified (according to their effects & benefits) literally thousands of herbs and herbal compounds, subjecting them to the test of every day use for more than 3,000 years. Cayenne (capsaicin) Many peppers have an ingredient called capsaicin, which among other things seems to raise the pain threshold. It’s gained attention in the medical world in recent years especially for its treatment of cluster headaches, and it’s often given in the form of a nasal spray. Willow – White willow bark is an especially popular herb for headache because it works much like an aspirin, relieving your headache pain and causing the inflammation to go down. Turmeric – has anti-inflammatory properties; I make turmeric capsules or cook with it. Lavender – I use Lavender essential oil….not only is it helpful with the treatment of headaches, but also has a calming effect. Why not choose a more natural way of healing your body and improve your well-being? The biggest problem with pharmaceutical drugs is that they only provide a mask for the symptom(s) and do not cure the underlying cause. Natural remedies may not always provide instant relief, but with a little patience, you’ll notice big changes. There are natural ways to heal every ailment, I highly recommend checking out some books from your local library or doing some research online! Ayurvedic Secrets to Longevity & Total Health by Peter Anselmo with James S. Brooks, M.D. Greetings! Any leads on best source for quality shilajit and msm in the US? I want to try this combo for my migraines! Feverfew extract from herb pharm has helped with the pain but not the aura or brain fuzziness. Thanks for sharing your info! Hello! The best source is from Ultimate Superfoods (check them out online)…it’s kind of pricey, but if it means no migraines…it is so worth it!!! I also increased my intake of turmeric…it’s a natural anti-inflammatory. I hope this helps! OK thanks, and do you still do the MSM? 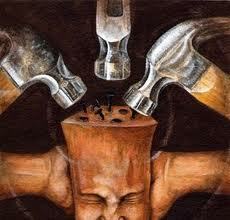 Do you find that to be a critical component? I make MSM capsules and take on average 12-14 of them a day (I use the veggie “00” caps). I’ll use the Shilajit in smoothies or drinks like my Mochaccino recipe…sometimes I’ll take capsules. I think the combination of both MSM and Shilajit have kept the migraines away. Keep me posted, I really hope this helps you!!! Tumeric ice cream sounds incredible! Thanks for the link!